Two days ago, the online video maker and editor Animoto announced an exciting new partnership with Getty Images, a world leader in visual communication. An Animoto account just got even more valuable with beautiful, high-quality stock library at your fingertips – at no additional cost. This new partnership grants customers of Animoto Professional and Business plans access to more than one million stock photos, illustrations, and video clips. They are now not only able to search the stock library directly from within Animoto, but also to drag and drop both images and video clips directly into their video projects. 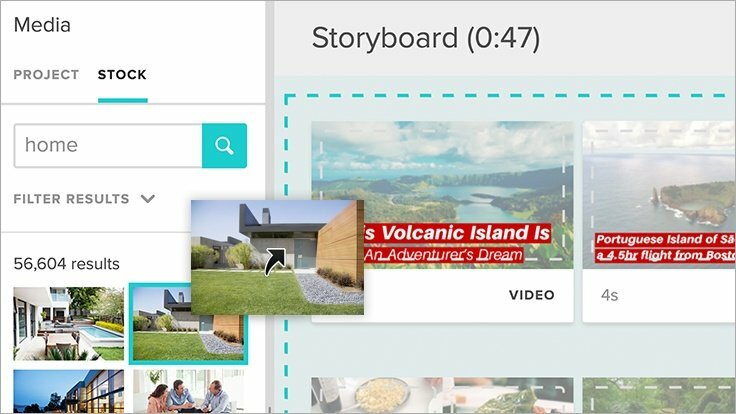 Animoto is making video marketing accessible to businesses of all sizes – regardless of the volume or quality of the assets they may have on hand. Animoto are offering a free trial to test their Professional plan risk-free for 14 days. Professional plans are also providing access to 2,000 commercially licensed songs.